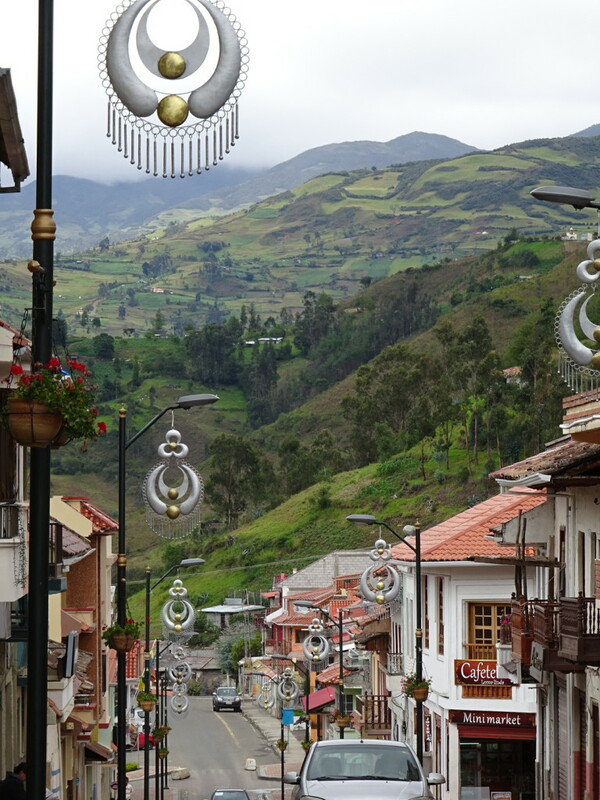 Posted on February 2, 2015 by No Map Required Posted in Art, Art & Engineering, Ecuador, Places	. 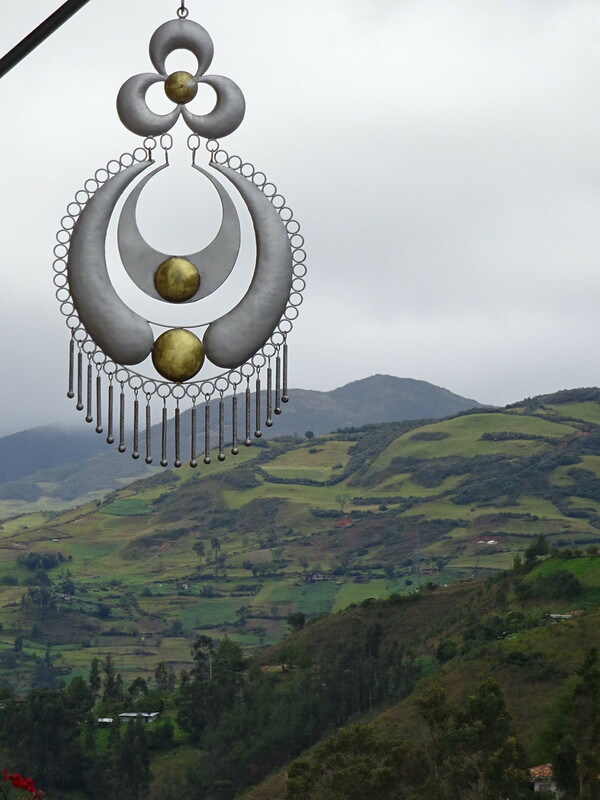 With all the different artist studios we’ve been lucky enough to visit recently (3 around Saraguro and 2 today in Vilcabamba), I realize I never gave my take on our visit to the jewelry city of Chordeleg, about an hour outside of Cuenca. Let me just rectify that right now! 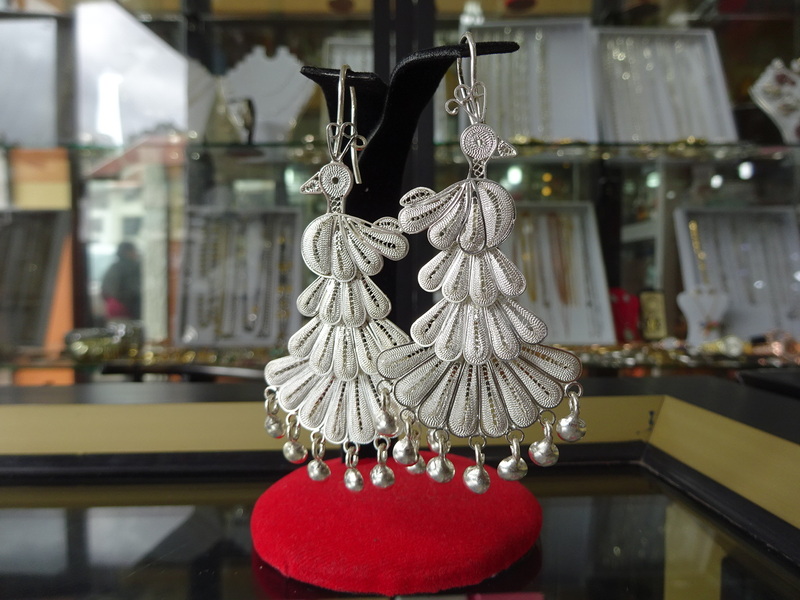 Hollywood may be Tinseltown, but they ain’t got nothin’ on Silver Filigree City! Like most small Ecuadorian towns, and probably most in Latin America, the town is based around a central park with shops along each side. Different from most towns, though, is that almost every shop in Chordeleg is a jewelry shop! More specifically, a silver filigree jewelry shop! In fact, there are so many shops that they spill down the side streets in every direction. Yep, blocks and blocks of hand-made silver jewelry just waiting to be admired. So we did! I had a bit of a challenge as a jeweler because I wanted to see some of the workshops of the folks who made the pieces, but the shops all seemed to be separate from any studios, so I never got the chance. It would have made a nice break as seeing 50+ jewelry stores of the same style is a bit of visual overload. Regardless, I did have the chance to handle a number of pieces close-up and get a feel for the different way they do filigree as compared to how I learned and did at Green Lake Jewelry Works back home. Please bear with me as I get a bit technical for my jeweler friends in Seattle or simply skip ahead to the photos! At Green Lake, we tend to use slightly flattened wire (perhaps .5-.7mm thick) which we shape into individual curls and use to fill a space, often a gallery in a ring. When we do that, we usually leave a fair amount of negative/open space so each piece of filigree really stands out. That’s definitely not the case in Chordeleg! There they are using flattened wire that is more like bezel wire (perhaps .2mm thick?) and essentially rolling up the wire so it is in very tight spirals and using that to pretty much fill every open space! The wire is also patterned so that there is a texture to it which becomes part of the design after soldering. Quite beautiful, but also quite different as you can’t see each piece of filigree – just the overall design. Wish I had taken more photos, but here’s one pair of peacock earrings – styles like these ranged from about $50-80 each, pre-haggling. 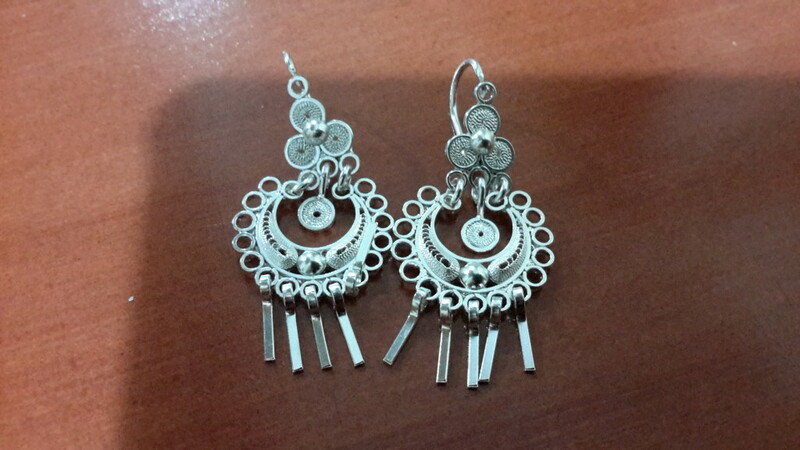 Oh, and you might have seen these before – these are the earrings Anner bought! Pretty awesome, eh? 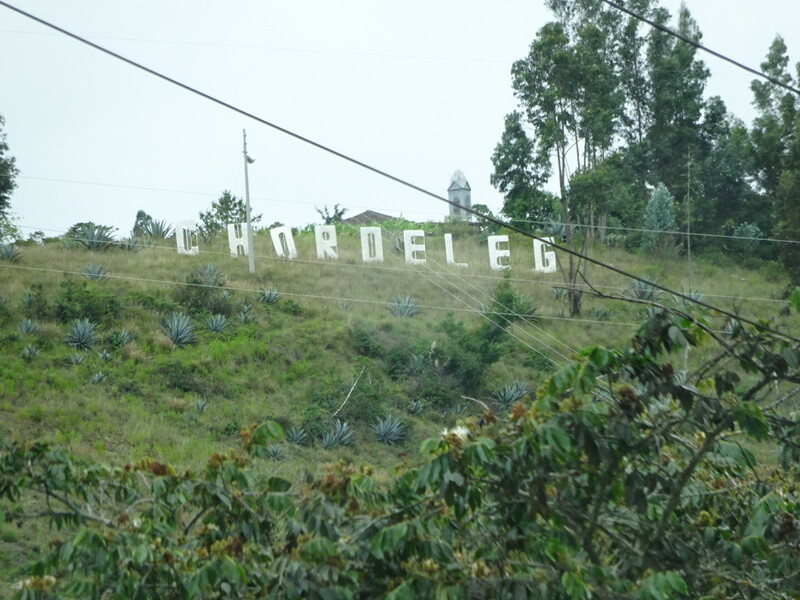 Chordeleg has definitely embraced its’ mantle as a filigree jewelry town. They’ve got a little museum with “the heaviest silver filigree earring ever made”. I bet it’s true seeing as it is over 3ft tall! A LOT of silver in that one! And they’ve got signs all ’round shaped like the filigree earrings. I’m really glad Anner ended up buying a pair as Chordeleg was a pretty amazing little town and we wouldn’t mind going again and spending more time! 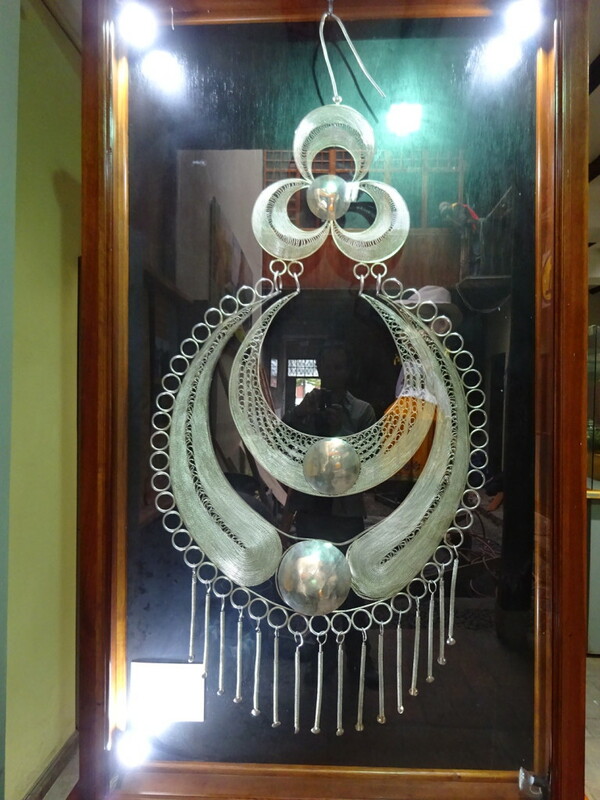 World’s Largest Silver Filigree Earring – over 3′ tall! 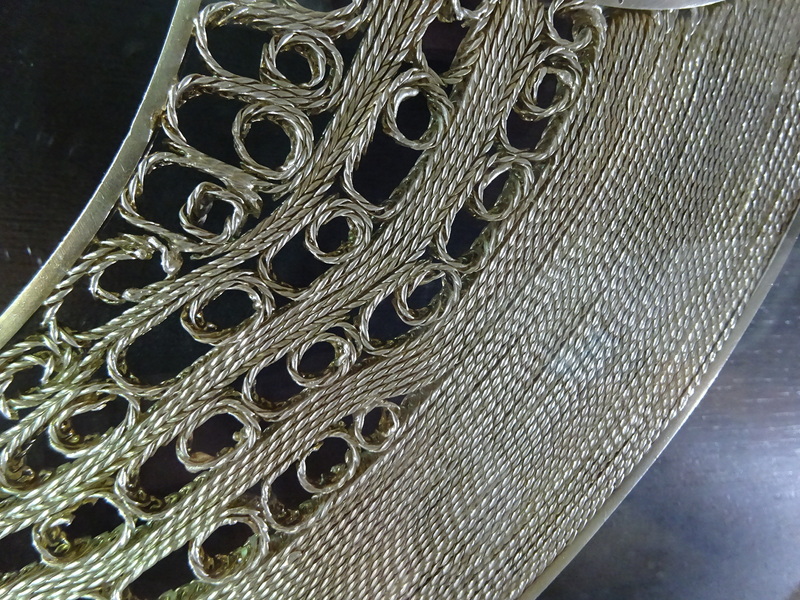 Some of the filigree in the World’s Largest Filigree Earring – this wire had to be a couple of mm thick. 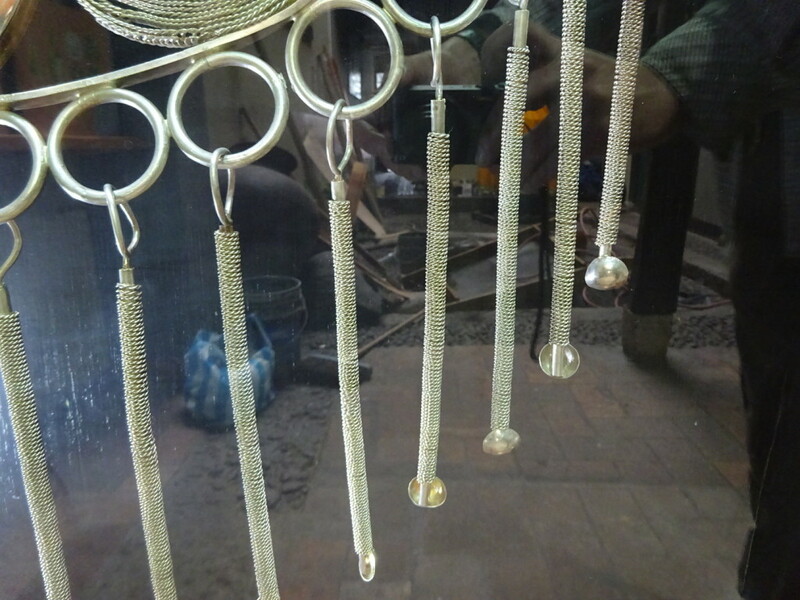 8″ dangles from the huge earring. As you can see in the reflection, the museum was undergoing a bit of a remodel. Amazing work. Will this style influence your work? I love the style of the big earring sign. Might be a bit heavy on the lobes though. May every place be as rewarding as your current one. Heavy, indeed! And with only one, you’d be rather lopsided… I don’t know if it’ll directly influence my work, but everything I see does to some extent, so who knows?? Am certainly enjoying your posts! Thanks. No longer am able to travel, so your recounting of life in the villages and towns is extremely enjoyable. Thanks, Kitti! It’s been great fun reliving everything via the blog. We’ve been enjoying the smaller villages more than the big cities, usually. The people are generally more accessible, though we’ve found welcoming folks everywhere. 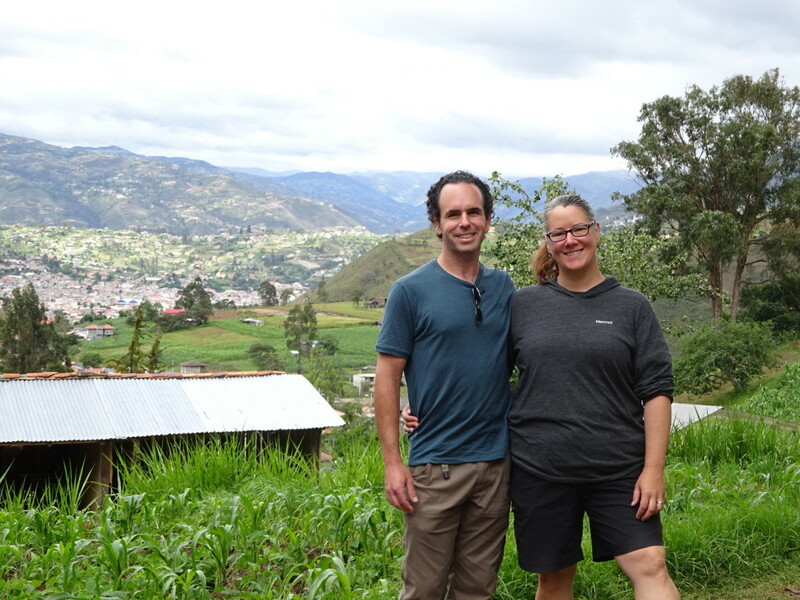 Looking forward to meeting Peruvians starting next week!